– Special pilgrimage walk to Kanaio Tibetan Stupa. Come to stillness and explore your life energy using traditional techniques of breath-centered movement (Asana). Exploration of seated breathing practices (Pranayama) and simple mantra repetition will support expanding the breath. Turn toward the inner voice. 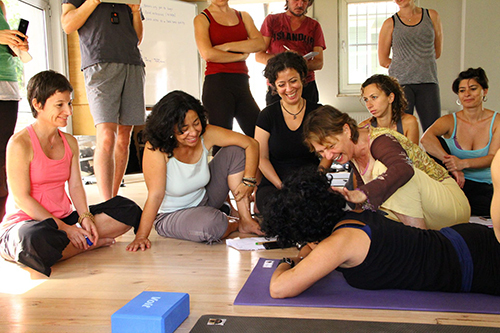 Mirka will use Asana, Pranayama, Pratyahara (turning the senses inward), and Dharana (focus of attention) to help us hear the inner teacher more clearly. We will experience and discuss finding the courage to listen and trust ourselves when it comes to our spiritual lives. Mudra (sacred gestures), chakra visualization and ritual act as an anchor to the present moment and the peace deep within. This gives each student an experience of the power of their own personal practice that is with them in each and every moment.